Thousands of homeschooling parents have described Teach Them Diligently as the highlight of their year! 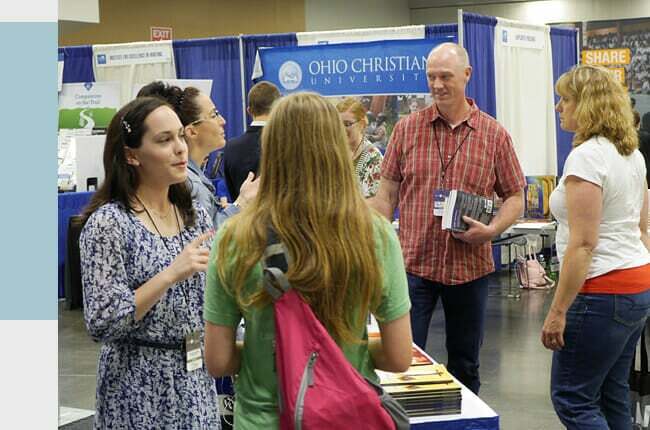 If you have never been to a homeschool convention, we invite you to experience Teach Them Diligently as your first. You'll be glad you did! Homeschooling your children is not simply an academic exercise. It is about discipleship and raising the next generation of believers. For 9 years, our homeschool events have been like a waterfall of encouragement for families. We would love for you to join us in 2019! 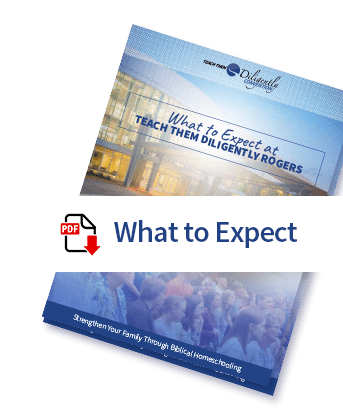 Do you want to know what a Christian Family should look like? We believe Deut. 6:7 paints a clear picture of how discipleship works in the home. My children who are never away from me for more than a couple of hours begged, "Please don't pick us up early from the children's program. We don't want to miss a minute!" They enjoyed the program so much, and I appreciate all of the energy and fun that was poured into them in such a loving and Christian environment. They're begging to come back next year. Parents who are unified in vision and are dedicated to putting Christ first are the foundation of Biblical homeschooling. My husband and I would not be who we are today (as a couple, as parents, or as a homeschool family) if it were not for Teach Them Diligently. The speakers and resources you have made available to us have encouraged and equipped us to do what God had called us to do. Come to one of our events. Make use of the resources we have available online. Experience the difference it will have on your family. The refreshment to my soul, wisdom and knowledge in my mind and encouragement to my heart was way more than I had anticipated. What others like you are saying! Excellent presentation by Sonya Shafer on Looking Past the Fear. Thank you! Knowing He has called me to this homeschool journey and that He will equip me on this journey. Thank you SO much for putting this on! I know it took a lot of work! My husband and I were totally encouraged and came away tremendously BLESSED and INSPIRED!! We will definitely be back next year and bring our kids. Really?!? Everything! The variety in the sessions offered was outstanding! My husband was able to attend some that were just for him, and one about adoption (which we have been praying about for a while). I feel renewed spiritually, and encouraged in this calling. I can't pick one thing! The sessions!! There where so many wonderful ones to choose from. All of the speakers I saw where passionate and informative. They were willing to hang around and answer questions or pray with the attendees. I felt like I was surrounded by godly wisdom and was so very blessed.